Dortmund - Signal Iduna Park 27.09.2016: This may come as a surprise for some people, yet the biggest stadium in Germany is not to be found in Munich, the home of the Germany’s most famous club, Bayern, but it is located 600 kilometres away – in Dortmund. Welcome to the Signal Iduna Park. 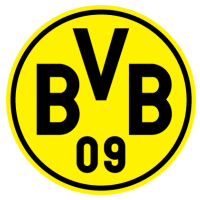 In the mid 1960s, more particularly in 1966 Borussia Dortmund was the first German club to win the Cup Winners’ Cup. It seems therefore logical that the Dortmund “bosses” started to think that the then existing Stadion Rote Erde was too small and plans for construction of a new stadium started to be put forward. However, the representatives of the city of Dortmund ignored these plans, and the construction of a new stadium was thus postponed indefinitely. The construction of the Westfalenstadion, as the stadium was originally called, before being renamed Signal Iduna Park, happened actually by coincidence. On the occasion of the upcoming 1974 World Cup a new, modern football stadium was to be built in Cologne. And a new stadium was indeed built, only 60 kilometres away – in Dortmund. Back then (in 1974) the construction cost 60 million mark. According to the original plans, the stadium was to be named Mekka Borussen and was to have a capacity of 60,000. However, the architects had to adhere to the allocated budget, and so the actual capacity was “only” 54,000. The first game played at the new stadium was a match between TBV Mengede and VfB Waltrop, which ended 1-2. The 1974 World Cup was very successful for the new stadium. Five national teams played there: Republic of the Congo, Scotland, Brazil, Bulgaria, Sweden and finally the Netherlands, which won silver medal, and all of the matches were sold out! The team of Borussia Dortmund played their first match at the stadium on 2 April 1974, but Borussia then played in the second division of Bundesliga. The first match Borussia played in the first division of Bundesliga at the stadium took place in 1976. Over the following years the stadium went through many renovations and expansions, the last one was carried out in the summer of 2004 – in the course of this renovation the stadium got its present appearance. The Westfalenstadion can now hold up to 80,645 spectators. We can also find here the famous “Südtribüne”, or the south stand, which has an incredible capacity of 25,000. By the way, the biggest stadium in the Czech Republic, the Eden Arena, has a capacity of four thousand less. Another significant event which the Westfalenstadion hosted was the 2006 World Cup. By that time, the stadium was already known to be well functioning and hosted six matches in total. Besides other games, it also hosted the semi final match between Germany and Italy. On 1st December 2005 the stadium was renamed Signal Iduna Park. The biggest stadium in Germany does not host just football matches. Every summer, several concerts are held there, and the stadium is also rented out to the Technische Universität Dortmund. The Signal Iduna Park has also a record number of fast food booths, there are more than 3,500 of these. And Dortmund is also a popular destination with the German national team, or Nationalmannschaft, which did not lose a single match played here for more than 32 years.